It's been a few years since you (Seth and Todd) posted this, but I'll comment anyway. 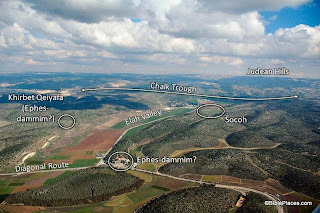 I find it interesting that if one of David's reasons for defeating Goliath was to keep Bethlehem safe, it's a reason he seems to have let slide soon after (2 Sam. 23:14). Of course, by then he could have already removed his parents to the safety of Moab—but I'm not sure of the chronology (1 Sam. 22:3). Thanks.